The Wisconsin Section Southeast Branch Younger Member Group (WISE YMG) is a small group located in Milwaukee, WI that draws big crowds for their social events and service activities. They put a lot of effort into K-12 outreach and connecting with the five ASCE Student Chapters in the area. The WISE YMG is impressive because they manage to make a huge impact with a very small board of individuals. This post is an attempt to recognize the group for all of the great things they do after their award application for Outstanding Younger Member Group was lost at ASCE. 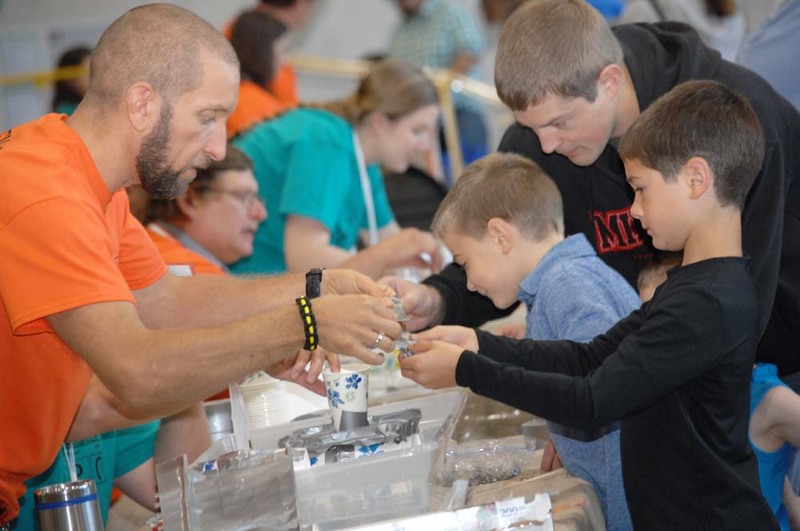 The largest event hosted by the WISE YMG is an annual STEM Expo at the Milwaukee School of Engineering that targets K-12 students. It’s an interactive evening with over 40 hands-on demonstrations that draws over 200 attendees (and requires more than 140 volunteers!). This colossal event was recognized at the 2015 Central Region Younger Member Council as the Outstanding Younger Member Group Community Service Project in Regions 3, 6, and 7. In addition to this large event, the group also participates in many other school outreach events. They visited the Silver Spring Community Center four different times in 2015 to teach underprivileged kids about STEM. 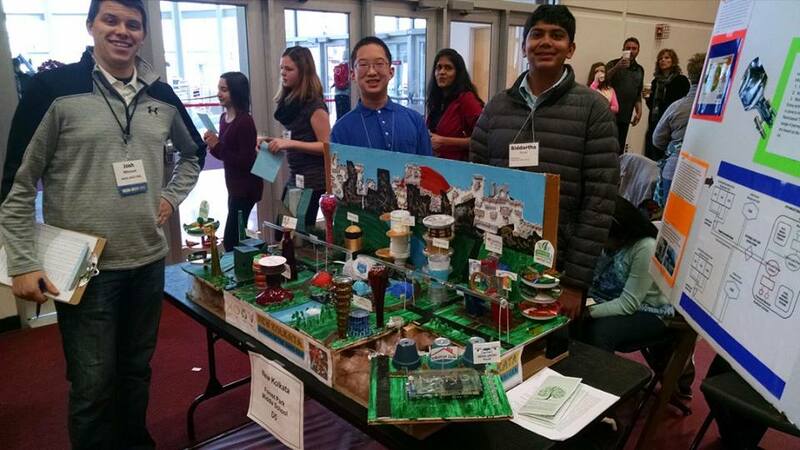 The WISE YMG also helped judge the Future City Regional Competition, which is an event that challenges 6th, 7th, and 8th graders to design the best future city. In 2015, the YMG judged the students Sim-City computer models and determined which competitors made the best use of recreational space in their city plans. The WISE YMG does not stop with outreach to K-12 students; they are also very engaged with the local ASCE Student Chapters at nearby universities. The group attends student chapter meetings at least once per semester at the University of Wisconsin – Milwaukee, Marquette University, and the Milwaukee School of Engineering to inform students of YMG activities and explain the benefits of continuing their ASCE memberships after graduation. These efforts are very successful, as shown by the incredible attendance at the joint social events hosted by the Younger Members. The WISE YMG held one social at a Milwaukee Admirals Hockey Game and one at a Milwaukee Brewers Baseball game. The latter event drew over 105 students and Younger Members! This YMG’s ability to bring together students from five universities and have such incredible turnout really showcases the enormous impact that such a small group can have on their community. The WISE YMG also participates in other small community service activities and social events to round out their group. In 2015, the YMG participated in a local food drive and in a river cleanup day. The members also played in a whiffle ball league and a charity golf tournament. The members this group are very active and they participate in many of the national ASCE meetings offered every year, including the Central Region Younger Member Council (CRYMC), the Workshop for Section and Branch Leaders, and the Practitioner and Faculty Advisor Training Workshop. In 2015, members of the WISE YMG were recognized at CRYMC as the Outstanding Member in the Private Sector (Ken Mika) and the Outstanding Member in Community Activities (Kyle Bareither). In addition, Ken Mika was also selected as a New Face in Civil Engineering in 2014 and he attended the Opal Gala in Washington, D.C.
For such a small group, I admire the WISE YMG for their outreach efforts and the positive contributions they make to their community. Drawing such large crowds to a few carefully planned events takes a lot of time and dedication, which is commendable for a small YMG. In addition, I think their student chapter outreach events drive a cohesive ASCE network that will translate into big benefits for the careers of these future engineers. I’m disappointed that CYM didn’t get a chance to review their award application in 2015. Coming from the Biggest Little City in the World (Reno, NV), I think the WISE YMG could be called the biggest little YMG in ASCE, and I hope they continue to do this amazing work. Check them out on Facebook to see what they’re up to now!